New construction located in Pecue Lane Estates, a gated community with 8 homesites. This classic, timeless beauty has all the bells and whistles you expect. Situated on an estate lot, the 2 story, open floor plan offers 4 bedrooms each with their own private bath; two bedrooms down and two up. The home features 12â ceilings downstairs and 10â ceilings upstairs, 3 car garage, front and rear porch, along with a 20âx22â outdoor living space with fireplace, gas grill and half bathâ¦an entertainerâs dream! The grand foyer is breathtaking boasting 23â foot ceiling with a 2nd story balcony. Downstairs is a study/office, formal dining with butlerâs pantry, guest bedroom with private bath and large walk-in closet, Â½ bath, mudroom and a separate laundry. The living room features a gas fireplace with a wall of windows and French doors leading to the covered rear porch and outdoor living. The kitchen features an oversized island, walk-in pantry, Viking double wall ovens, microwave, & 36â gas range, custom panel dishwasher and a Subzero custom panel refrigerator. The Master suite has a sitting area, and a beautiful large ensuite with his and her vanities, soaking tub, separate shower, private courtyard, along with a massive walk-in closet. 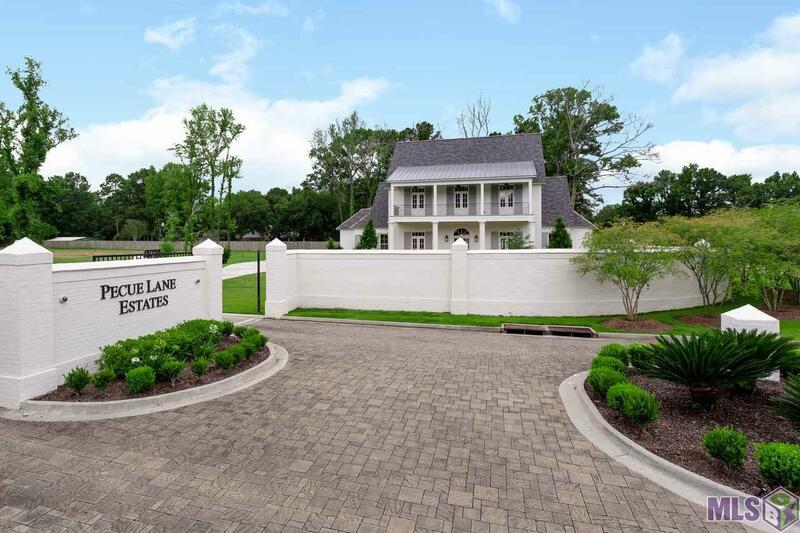 Upstairs there are 2 bedrooms separated by a 19'x18' bonus room each with large walk-in closet, private bath and access to the 2nd story outside balcony, and a 19'x18' bonus room This is your opportunity to live in one of Baton Rougeâs newest, exclusive gated development. Builder: Terry Honore Construction Company, Inc.